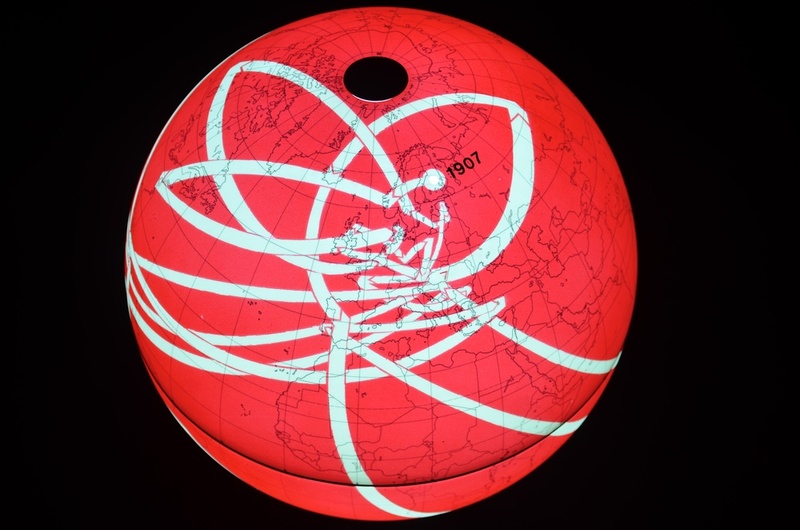 The black line on this globe traces temporally, country by country, the first election of a female to parliament following the precedent set by Finland in 1907 through to 1946 when the first female parliamentarian in Japan was elected to office. 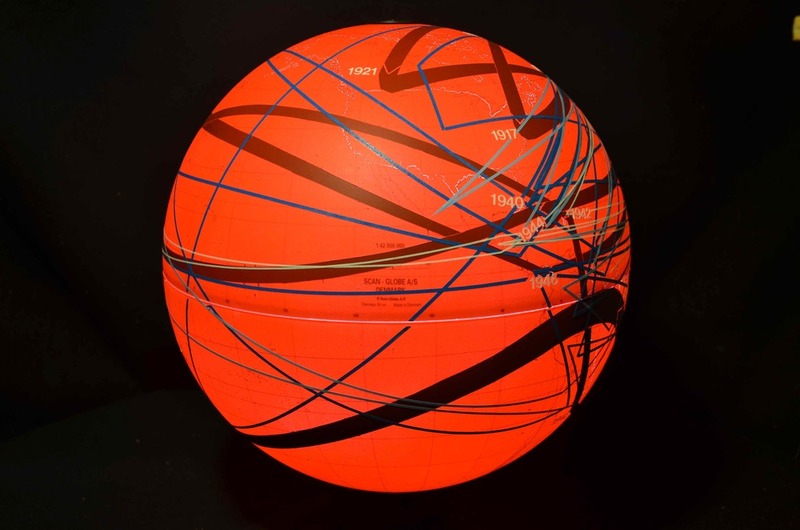 The dark blue, blue, and white lines chart gender equality broken into three tiers: most equal, equal, and not equal, respectively. 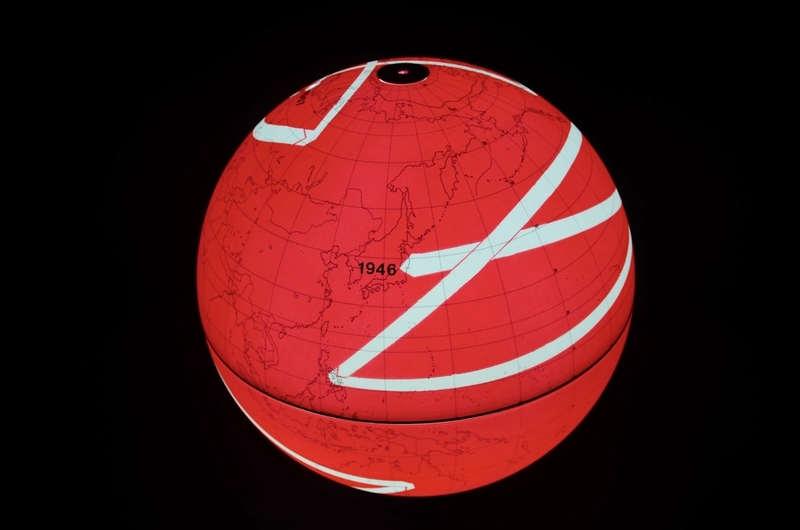 The black line on this globe traces temporally, country by country, the first election of a female to parliament following the precedent set by Finland in 1907 through to 1946 when the first female parliamentarian in Japan was elected to office. 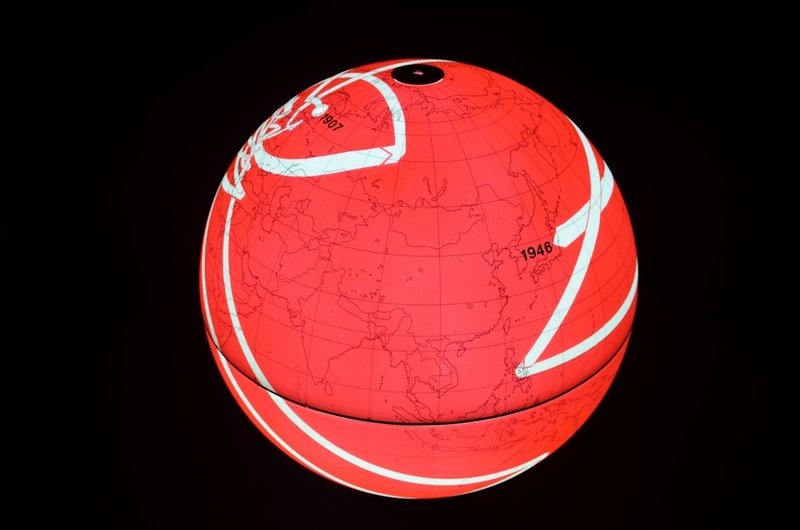 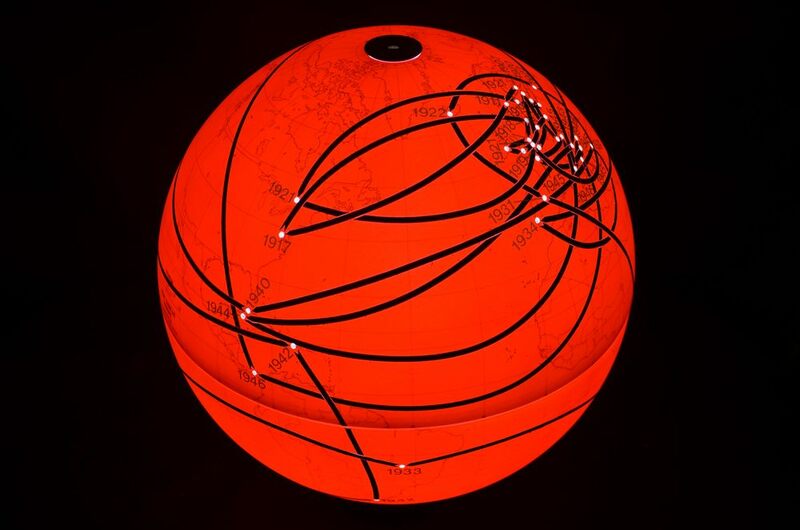 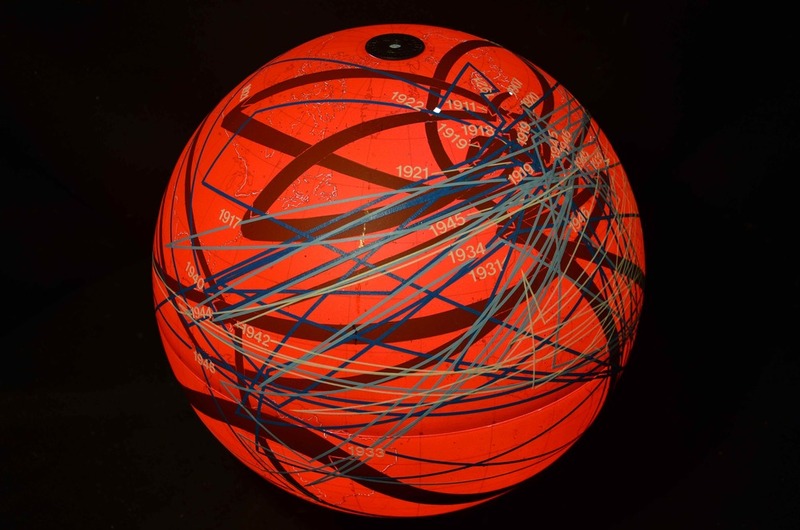 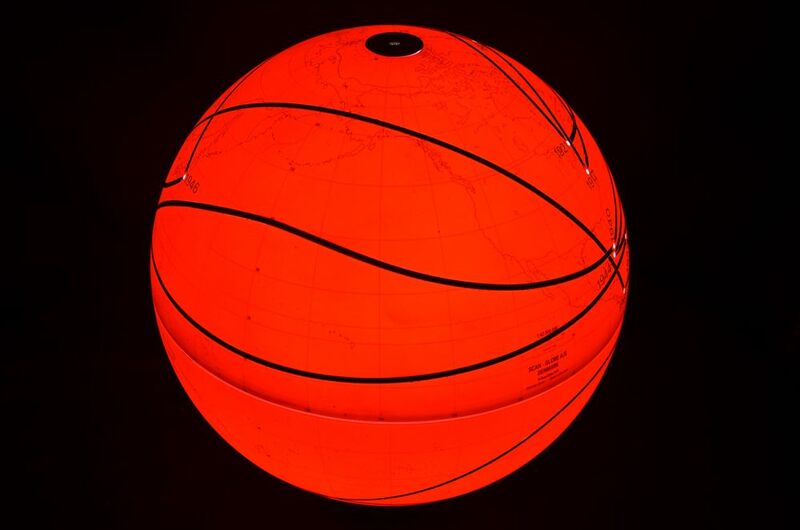 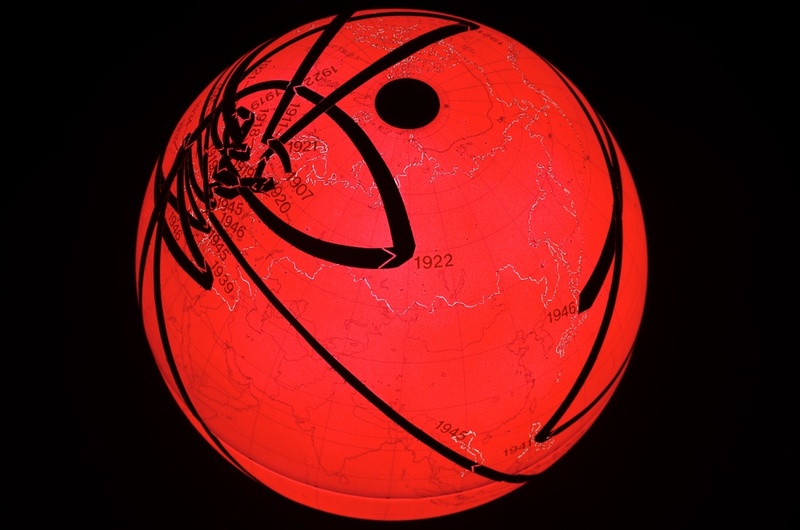 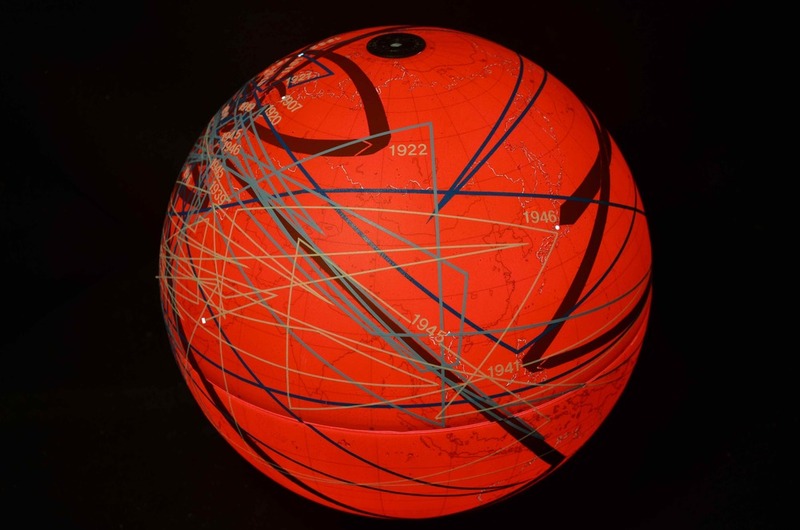 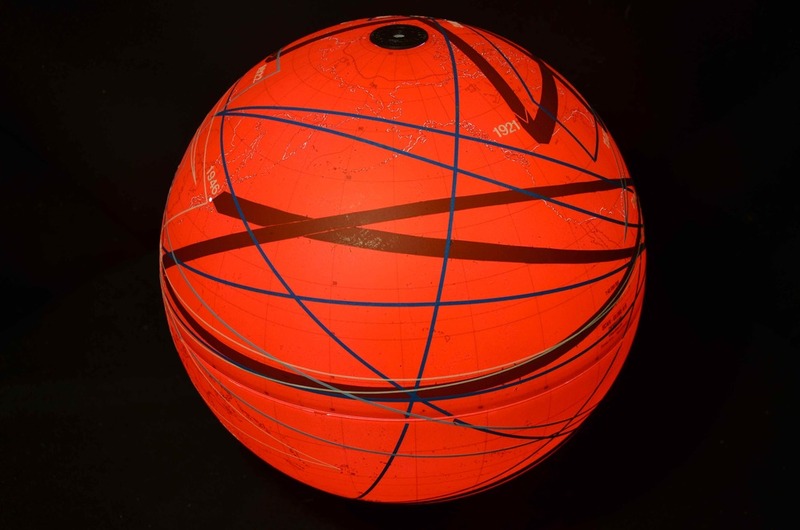 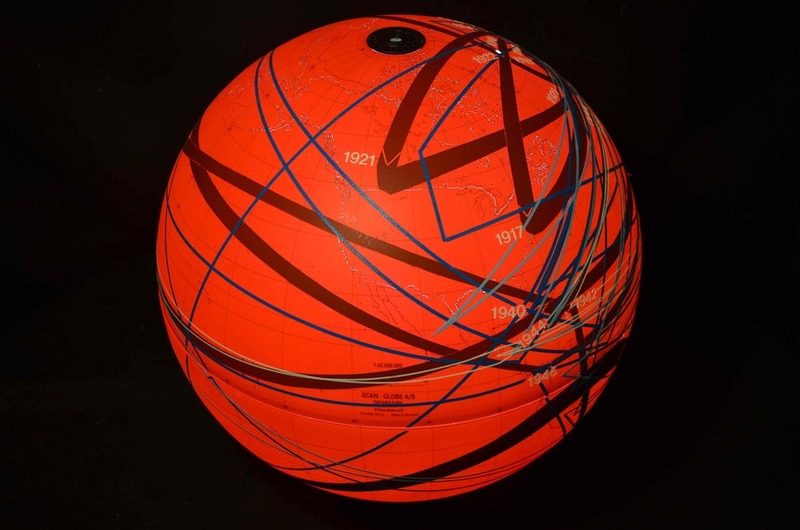 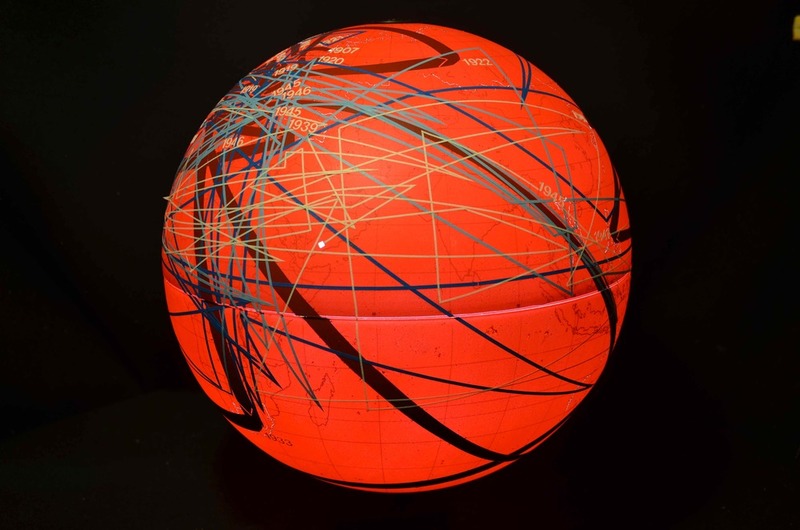 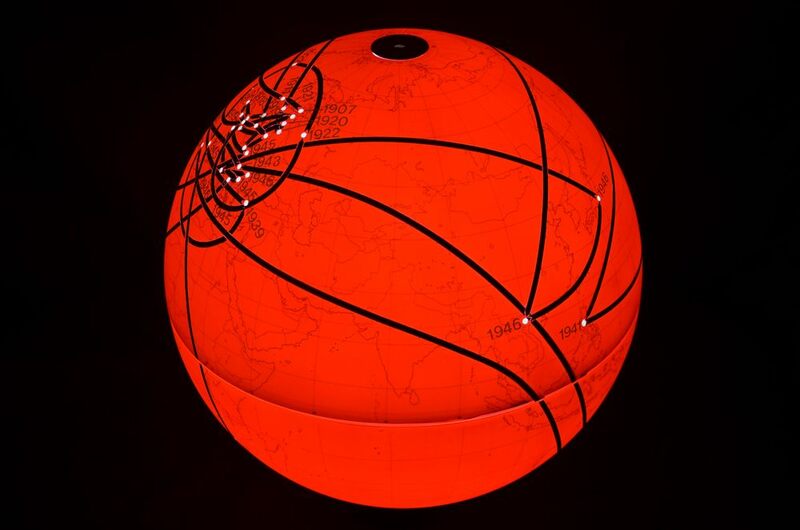 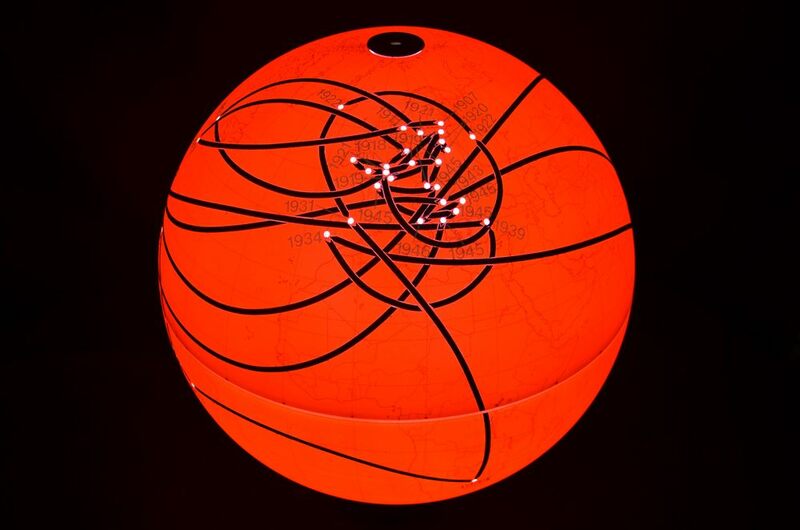 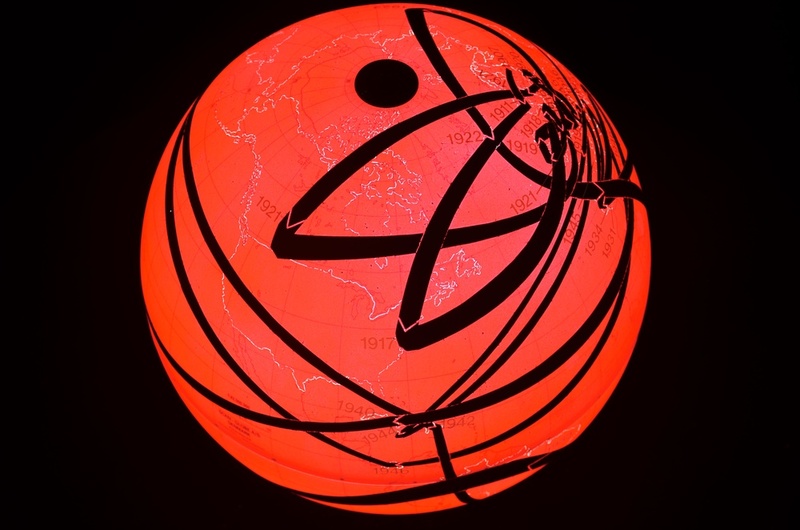 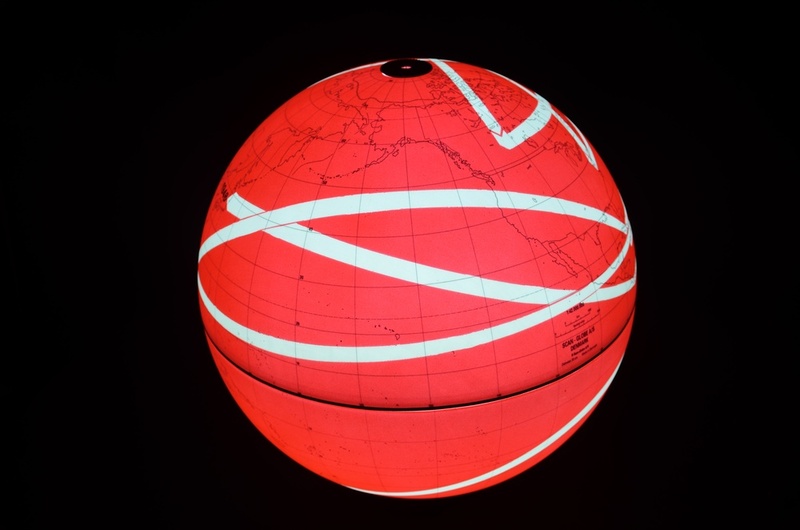 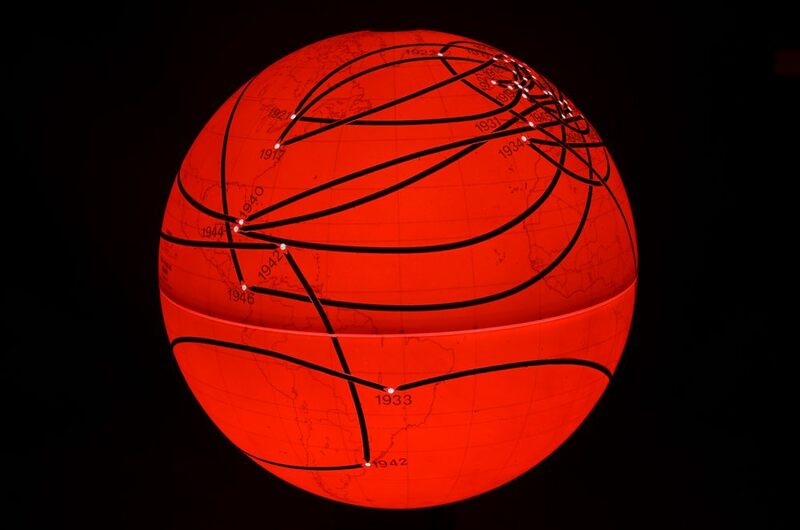 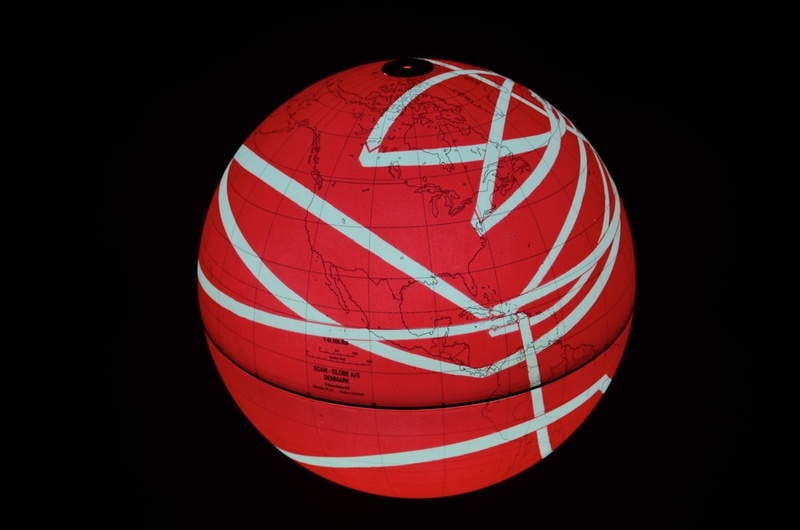 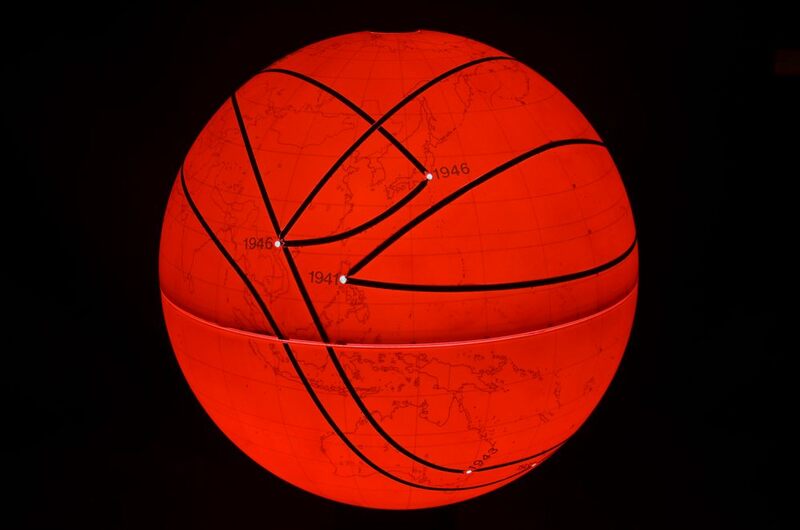 The red line on this globe traces temporally, country by country, the first election of a female to parliament following the precedent set by Finland in 1907 through to 1946 when the first female parliamentarian in Japan was elected to office.